Intelligence is not something possessed once for all. open-minded will to learn, and courage in readjustment. In the quote from John Dewey at the top of this page there is a very powerful truth suggested: intelligence is not evidenced in stagnation of thought and/or calcification of understanding. It is best reflected in a willingness to accept that a truly productive life is an ongoing process of increasing awareness and acceptance of ultimate Truth, and the courage and willingness to alter one's attitudes and actions accordingly, even when it may not be popular to do so. There is great personal risk in readjusting one's beliefs and behavior, as this often prompts a negative reaction from those reluctant to such readjustment. Those with courage to reason are often charged with treason by those who cherish tradition over Truth. Intolerance, however, will not deter the intelligent. For the latter, there is no bliss in ignorance! With regard to spiritual matters, there has always been evident throughout religious history an obstinate intolerance of anything new or different: an utter disdain by some of views and practices other than their own. Such intolerance is seen by them as a sign of intelligence, even of godliness and faithfulness. In reality, it is militant ignorance; a spiritual blindness that resists any attempt at enlightenment. Such rigid religionists resisted Jesus throughout His public ministry, as they did His disciples and apostles. Peter, in 2 Peter 3:5, spoke of those who were "willingly ignorant" of eternal truths that should have been obvious to those willing to see and understand, urging his fellow believers to "be not ignorant" (vs. 8) of those divine realities and guiding principles that could enrich and ennoble their lives. Paul encouraged those in Ephesus, and by extension us as well, not to live in willful ignorance of those spiritual truths that can transform our lives: "Walk no longer as the Gentiles walk, in the futility of their mind, being darkened in their understanding, excluded from the life of God, because of the ignorance that is in them, because of the hardness of their heart" (Ephesians 4:17-18). This is not intelligent living; such people cannot even remotely be viewed as wise and discerning. In the eyes of the world, and of the religiously blind, the message of God's love, mercy, grace and freedom is foolishness; it is something to be ridiculed and resisted. Yet, it was through such "foolishness" that God put to shame the "wisdom" of this world, demonstrating that genuine intelligence is evidenced in and by those who believe the Good News, a truth the apostle Paul stresses at some length to the church in Corinth (1 Corinthians 1:18-31). Within the vast spiritual darkness that surrounds us there exists another type of individual: the intelligent uninformed. These are the wise wanderers in a world they find increasingly disturbing. They feel ill at ease with the worldly standards of their cultures; something isn't right; something is missing; yet, they aren't sure what that is. There must be something better, but what is it? Where is it? Who is it? Because of their intelligence, they are willing to question, to think, to challenge, even to change. They are the seekers of light in a world of disquieting darkness; they are enslaved, yet long for freedom. Such discerning men and women exist in every culture, every period of time, and in every religious movement throughout history. They have a "Berean spirit," and are willing to listen, rather than lashing out at anything different. Such people are to be praised, for they are "ripe unto harvest." It is they who will readily embrace that greater light of truth, rather than seek to extinguish it. I have dealt with this class of "intelligent uninformed" in one of my earlier studies: "God's Plan for the Unenlightened: Pondering the Parameters of Divine Acceptance of Human Response to Available Light" (Reflections #158). Whenever we come across such a person, it is truly a joy; it is refreshing; it is also quite a change from the ignorance and militancy we too often face when seeking to share the Light with those enslaved by the darkness. Let me introduce you to one such individual. His name was Sergius Paulus, a high-ranking Roman official, the Proconsul of Cyprus, living in the port city of Paphos, which served as the administrative headquarters of that island in the first century. "Under Augustus, in 27 B.C., the Roman provinces had been divided into two classes: (1) Imperial and (2) Senatorial, the former being governed by Propraetors or Generals, and the latter by Proconsuls" [The Expositor's Greek Testament, vol. 2, p. 286]. There was a time in the past when "Luke used to be sharply criticized for applying the term 'Proconsul' to Sergius Paulus on the ground that Cyprus was a province under the appointment of the Emperor with the title of Propraetor, and not under the control of the Senate with the title of Proconsul" [Dr. A. T. Robertson, Word Pictures in the New Testament, e-Sword]. It is very true that for many years Cyprus was indeed an "Imperial" province, thus the governing official would not have been a Proconsul, but rather a Propraetor. This was troubling for biblical scholars of past centuries until archeological discoveries revealed that, in a little-known deal for some political gain, "Augustus, in 22 B.C., handed it over to the control of the Roman Senate, and from that year, like other Senatorial provinces, it was administered by a Proconsul, just as Luke accurately indicates in Acts 13:7" [Dr. F. F. Bruce, Commentary on the Book of the Acts, p. 262-263]. Later inscriptions which were discovered confirm this fact. Therefore, rather than exposing Luke as "inaccurate" in his use of this title, thus calling the inspiration of the work into question (as some have done), it confirmed his accuracy!! "Luke is notable for his use of correct official terminology" [The Zondervan Pictorial Encyclopedia of the Bible, vol. 4, p. 665]. Although biblical scholars of past centuries might have been unaware of what titles were in use at the time Paul visited Cyprus, Luke was not. These later critics, "not aware of this, have missed the mark here" [Drs. Jamieson, Fausset & Brown, Commentary Practical and Explanatory on the Whole Bible, p. 1101]. Other than a couple of possible extra-biblical references and inscriptions (each of which some have contested), we know very little about Sergius Paulus other than what Luke tells us in Acts 13, where this man is mentioned only twice (vs. 7 and vs. 12). The Holy Spirit had commissioned Saul of Tarsus and Barnabas to go forth with the Good News (vs. 2). This was the beginning of Paul's first missionary journey. Their first stop was the island of Cyprus, where John Mark joined them (vs. 5). They preached the Gospel throughout the whole island (vs. 6a), and ended up at the other end in the city of Paphos, where "they found a certain magician, a Jewish false prophet whose name was Bar-Jesus" (vs. 6b). The encounter with this Jewish false prophet (also referred to as "Elymas the sorcerer" - vs. 8) is the only narrative Luke provides with respect to what occurred on the island of Cyprus during the early part of Paul's first missionary journey. Although a study of the encounter of these three Gospel missionaries with this false prophet (Acts 13:6-12) would be fascinating and profitable, we'll leave that for another time. Our focus here is not on this charlatan, but on the man he was seeking to influence: the Roman Proconsul of Cyprus named Sergius Paulus. In verse 7a we discover that Bar-Jesus "was with the Proconsul." In what capacity, or for what purpose, we are not informed. We are simply told that he was there with him. But, more about this later on. We are told in verse 7 that Sergius Paulus was "a man of intelligence." This is a very significant statement as to the character of this man. Other translations read: "a prudent man" ... "a sensible man" ... "a man of understanding" ... "a very smart man" ... "a discerning man" ... "a man of considerable insight" ... "a wise man" ... "an intelligent man." The Greek adjective used here is "sunetos," which only appears four times in the NT (two of which are used by Luke). It means "intelligent, sagacious, understanding; perceptive;" it comes from the word "sunesis," which "suggests quickness of apprehension, the penetrating consideration which precedes action" [The New Strong's Expanded Dictionary of Bible Words, p. 1395]. It appears a number of times in the Septuagint to depict a person with "practical discernment, intelligence; one who can 'put things together'" and make sense of them [The Expositor's Greek Testament, vol. 2, p. 286]. It is "a rare word in the New Testament," although "common in the LXX. ... It means something more than 'a prudent man.' It means a man of knowledge and superior intelligence and understanding. And such was Sergius Paulus, a noble Roman" [The Pulpit Commentary, vol. 18, p. 402]. Some have questioned the "discernment" of Sergius Paulus due to the fact that he was "with" this Jewish false prophet. On the other hand, this may be an affirmation of the type of man he truly was: he sought to better understand the world around him; he had a sincere desire to learn, regardless of the source, and yet was wise enough to be able to sort the wheat from the chaff in what he saw and heard and read. He was willing to listen to Bar-Jesus, and he was also willing to listen to these men who came preaching about another Jesus. In the end, having heard both, he made a determination as to which constituted the Truth. Being "amazed at the teaching of the Lord," Luke informs us that this man of intelligence then "believed" (vs. 12). The false prophet did his best to undermine the teaching about Jesus, and "Saul, who was also known as Paul, filled with the Holy Spirit" (vs. 9), powerfully confronted this false prophet. The Proconsul of Cyprus was willing to consider the information presented by both, which is indeed one of the traits of a man of intelligence! "He had the character of a prudent man, an intelligent, considerate man, that was ruled by reason, not passion nor prejudice" [Dr. Matthew Henry, Commentary on the Whole Bible, e-Sword]. He was "a man of good sense, of a sound understanding, and therefore wished to hear the doctrine taught by these apostles; he did not persecute the men for their preaching, but sent for them that he might hear for himself" [Adam Clarke, Clarke's Commentary, vol. 5, p. 781]. I have encountered a good many people over the decades of my ministry (and I'm sure many of you have as well) who claim to be "intelligent," yet who exhibit hopelessly closed minds to anything different than their own cherished perceptions. That is not intelligence; that is militant ignorance! In Acts 17 we find an example of intelligence: the Bereans; we also find an example of closed-minded, militant, willful ignorance: those from the city of Thessalonica. Sergius Paulus, like the Bereans, was more noble-minded. "It is probable that he plied them with questions concerning the Word and their service in its interest, and while he was by no means predisposed to the acceptance of the Gospel, he by no means ridiculed its preaching before examining its claims. If people of our day and age that claim for themselves both a thorough education and a fair degree of common sense and open-mindedness would but follow the example of the Cyprian Proconsul and make a frank examination of the merits of the Gospel, the chances are that their natural prejudice would quickly be removed" [Dr. Paul E. Kretzmann, Popular Commentary of the Bible: the NT, vol. 1, p. 596]. I can't even begin to tell you how many times over the years I have been viciously attacked by people for my teaching, only to have them tell me later that they don't need to actually read what I write, for they know already what I believe. They have refused to sit down with an open Bible and examine it with me; they have refused to dialogue with me. Is this "intelligence"? No, this is beyond ignorance, it is intolerance! Sergius Paulus may have been "a pagan," but he was more noble-minded than these so-called "Christians." He had a spirit that was open to carefully examining all things with great care and reason, then discerning what was of worth and embracing it, even if it meant personal change was called for (cf. 1 Thessalonians 5:21). Now that is a person "of intelligence," for it is a person with whom one can speak of eternal realities without fear of retaliation, and with whom one can actually reason and reflect. Because Sergius Paulus was such a man, we are told that "he believed" (Acts 13:12). Believe it or not (no pun intended), there are some who say this man did NOT truly embrace the Lord; they claim he was NOT saved. Why? Because the text does not say that he was baptized in water!! That's right - no baptism in water, no salvation!! In fact, some authors have "warned their readers not to take Luke's words in verse 12 too seriously," and that Paul "may have mistaken courtesy for conversion" [The Expositor's Bible Commentary, vol. 9, p. 420]. So, why would people think this?!! "The nature of the Proconsul's response has often been debated, chiefly because the text says nothing about his being baptized when he believed" [ibid]. In other words, it isn't "faith/belief" that makes one a Christian, it is "getting to the water." This, of course, diminishes the place of grace and faith, and elevates baptism in water to the place of a sacrament. Some sacramentalists, in an effort to reconcile their view with the clear statement that this man "believed," suggest: "Evidently, Luke, to conserve space, compressed the salvation of Sergius Paulus, or his acceptance of the divine remedy for sin, into the one word 'believed'" [Adam Adcock, Acts Analyzed, p. 145]. In other words, this man clearly got to the water very quickly thereafter, so as to be saved, but Luke, "to conserve space," simply left that fact out. Good Grief!! The lengths some people will go to in order to protect their dogma! "What exactly the narrative means by saying that he 'believed' is disputed" [Dr. F. F. Bruce, Commentary on the Book of the Acts, p. 265]. "The nature of his belief (i.e., whether he became a Christian) is disputed" [The International Standard Bible Encyclopedia, vol. 3, p. 729]. Yes, it is true that men have argued over this for centuries. However, the text simply states that this man of intelligence and great discernment, when he heard the teaching of the Lord, a teaching that Luke says he found amazing, "believed." The Good News is that God's grace is accepted by our faith, and the result is our salvation. That's good enough for me. Our lives are then spent in loving demonstration of that faith (evidenced in countless ways every day of our life). "It has to be said that we know nothing more of his Christian life - whether he professed Christianity openly by baptism, and used his influence to further the religion, or whether he relapsed. ... Sergius Paulus did make some profession of faith. ... The Christian message made a deep impression on this 'man of understanding' ... and 'he believed'" [Dr. James Hastings, Dictionary of the Apostolic Church, vol. 2, p. 471]. It also appears very likely that the family of this man were active disciples of Christ Jesus as well. "Ramsay adduces epigraphic reasons for believing that in the next two generations certain members of his family were known as Christians" [Dr. F. F. Bruce, Commentary on the Book of the Acts, p. 265]. 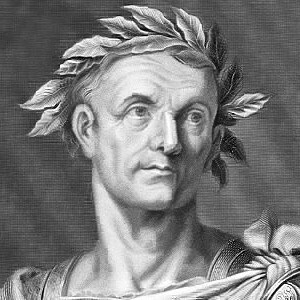 "In his chapter on 'Sergius Paulus and His Relation to Christian Faith,' Ramsay ... argued from other literary sources that Sergia Paulla, the Proconsul's daughter, was a Christian, as was her son Gaius Caristanius Fronto, the first citizen of Pisidian Antioch to enter the Roman Senate" [The Expositor's Bible Commentary, vol. 9, p. 421]. "When Sergius Paulus became a Christian, he neither laid down his government, nor was turned out of it, but we may suppose, as a Christian magistrate, by his influence helped very much to propagate Christianity in that island. The tradition of the Romish church, which has taken care to find bishoprics for all the eminent converts we read of in Acts, has made this Sergius Paulus bishop of Narbon in France, left there by Paul in his journey to Spain" [Matthew Henry, Commentary on the Whole Bible, e-Sword]. There is much we don't know about this man; there is much that is mere speculation; one thing we can say, however, is that this man of intelligence was willing to hear the Gospel, was astounded by the message, and "he believed." As the old country parson declared, "'Nuff said!" Special Note to Readers: The Body of Christ recently lost a very special man: Edward Fudge. He was a man who had a tremendous impact upon many of our lives, and he will be greatly missed. I was asked to write a special tribute to this dear friend and brother for Wineskins magazine, which I was honored to do. That tribute may be read online by Clicking Here. We look forward to that Resurrection Day when we shall all meet again in the presence of our Lord. Brother Al, Edward Fudge was the very first person in our faith group who suggested that I needed to be more aware of God's grace! At the time, I was working with the largest legalistic Church of Christ in Canada. Truth Magazine (formerly Guardian of Truth) and the Willis brothers were our main source for false doctrine. Edward was such a huge inspiration to me!! Al, I was blessed to meet and have breakfast one morning with Edward Fudge here in Honolulu as a direct result of our common appreciation for your Reflections. That get-together was in September of 2009. You had posted a response I had written to one of your Reflections articles, and Edward had seen it and noted that I was in Honolulu. He was planning to be on Oahu for a family wedding, so he wrote you and asked you to put him in contact with the "Minister in Hawaii," which you did. The result was our breakfast together at the Waikiki I-HOP next to where he and his wife were staying. He had just published his commentary on Hebrews, and he gifted me with a signed copy. Being one of my favorite NT books, we started discussing Hebrews, and to my amazement, he began to cry, tears falling onto his pancakes, as he elaborated on the beauty of the language and concepts contained therein. Thus, I became acquainted with the mind and heart of that wonderful brother, and you were the key that enabled it! Mahalo!! To me, Edward Fudge was the epitome of intellect and heart in their best admixture! Excellent article!! - "Critics Who Can't Cope: Lessons from those Legally Blind" (Reflections #742). So true! The reason I joined "the one true church" many years ago was that they encouraged you to search the Scriptures for yourself to find the truth. The longer I have been a Christ follower, however, the more I have come to realize the above is actually discouraged. They don't want you to think for yourself; they want you to think just like they do. If you don't think like they do, then you are on shaky ground! I have even had some in "the Lord's church" say that they will not even entertain the idea of reading a book or studying a lesson unless it is written by someone within "the one true church" (i.e., the "Church of Christ" church). As much as I miss many of these dear people (we left this group), I could no longer be part of a group where you were not encouraged to think and study for yourself. We have now found such freedom from this, and I thank God every day for it. The Spirit will guide you if you are really seeking. Thank you, Al, for all your hard work in calling out this craziness!! You are such a blessing! I can't begin to tell you how much your articles mean to us!! Thank you for all you do! "Critics Who Can't Cope" was very interesting. I had not realized that those who debated with and stoned Stephen were from a particular, very fundamentalist synagogue. I wonder where we "Church of Christers" would fit in some similar categorization today? Are the evangelical sub-groups in which we would be categorized viewed equally negatively today? And is that a fair categorization? Just thinking out loud. Thanks for this Reflections article. Al, I hope you are fine and having a good year. I was wondering if you had done any research on the Jewish synagogue, its worship, and the affect it might have had on the worship of the church. If you have already written about this, would you please give me the location? Thanks, and my best wishes to all there! Al, I always appreciate the depth of scholarship in your Reflections articles. Probably this is because I am no scholar myself, yet I (and also my wife) am intensely interested in a good many of the subjects you choose to write about. Keep up the good work for Him. I just read your article "Critics Who Can't Cope." Very good! Very insightful regarding Paul and the "goads" against which he was kicking. It makes sense. God bless you, brother. Once again I'm the beneficiary of your excellent research. I never considered that Paul may have been the primary antagonist of Stephen. Makes sense, however. I appreciate you including this observation in your study ("Critics Who Can't Cope"), even though you point out that it can't be conclusively proven by Scripture. It bothers me that some believe we cannot use our God-given ability to reason and to take into account historical facts to draw non-salvific insight into the context of such passages. I believe these insights breathe a human element and understanding into the passage that just knowing "book-chapter-verse" doesn't do! I always enjoy reading and being informed by your Reflections!! Many blessings upon you and your family, my friend. There are many things I admire about you and your Reflections, among them your skill in the art of alliteration. I have attempted some of these at times as well, but I'm not as proficient at this as you. Could you give me some pointers? Here is one from something I previously wrote: "Fomenting fur-flying, furiously, fiercely feuding, fussing, fraudulent fratricidal factions fatally fractures family fellowship forever." When I heard of the passing of Billy Graham, my first thoughts went back to the many, many times I've heard preachers and Sunday School teachers in the "Churches of Christ" heritage I grew up in proclaiming him to be a "false teacher" because he "never told one soul how to get to Heaven." I have read your Reflections article where somebody asked you about him, and you defended him and his teaching ("Aggressive Immersionism: Is the Burden for Baptism upon the Immerser or the Immersed?" - Reflections #601). It makes me sad to think that no matter what, some of "us," raised as we were, cannot ever have peace about this. He was certainly a man who preached and lived JESUS. He was not a man who focused obsessively on baptism in water. I know and grew up hearing many preachers who focused entirely on baptism and not the cross, preaching that baptism in water is the only way to contact the blood of Jesus. It makes me sad that all of this even has to cross my mind. I do know one thing, though: If Billy Graham goes to Heaven, there are going to be some people in "our" heritage who are going to be very unhappy about it (I say this somewhat facetiously, of course). Have a blessed day, brother. We are always offering up prayers for you and your family! Beloved Brother Al, a few months ago I communicated with you after buying your book "Down, But Not Out" at a bookstore in a nearby town. More recently, there has been a traveling evangelist from the Non-Institutional wing of the Churches of Christ in my country who is mentioning a future immortality for everyone at the resurrection, a teaching which I am presently challenging. Just a reminder: about a decade ago I moved away from "Church of Christ" theology on virtually most issues of faith. I am also a graduate of the Athens, Greece branch of Sunset International Bible Institute. Anyway, after reading various critiques on your four books, it seems, strangely enough, that I have moved along a very similar theological journey as you have. It appears to me, though, that I may have moved somewhat closer towards Anabaptist theology. As you probably know "Church of Christ" theology on the doctrine of immortality better than I, would you care to inform me what "Church of Christ" theology regarding immortality at the resurrection entails? My advantage at the moment: I am a free believer having open fellowship amongst home-based congregations with no denominational affiliation. So, I'm not bound to a party line nor a system of men. Greetings, brother. I have been studying the gospel-doctrine distinction. I believe it is clear that there is a very real difference between the gospel and the apostles' doctrine. Of course, my brethren of the legalistic persuasion believe that "gospel" includes the entire NT canon, so I was looking at some of their arguments on this point. One of them involves the account in Acts 13:8-12. It seems clear that Sergius Paulus would have heard Paul preaching "the gospel" on this occasion, however in verse 12 it refers to it as "the teaching of the Lord." Hence, the legalistic patternists would say that the "teaching/doctrine of the Lord" would include more than just "the gospel" message. It struck me that this seemed to be very similar to the wording in 2 John 9 regarding the "doctrine of Christ." So, I'm wondering a few things: (1) Does the "teaching of the Lord" in Acts 13:12 mean the teaching by the Lord Jesus, or does it mean the teaching about the Lord Jesus? (2) How does the Greek compare to the similar phrase used in 2 John 9? I thought I would run this by you since you are always so gracious to consider inquiries from readers. I hope this doesn't seem frivolous of me to ask this, since I know how busy you are! Dear Brother Maxey, I hope you and your family are doing well. I don't contact you often, but please know that I look forward to your Reflections studies every week. I can not thank you enough for these biblical and thorough studies of the Word of God! I stay pretty busy with a wife, three kids, and a job, but occasionally I try to do a little woodturning. I primarily turn pens as a hobby. I wanted to send you one of them that I made ... actually, two of them, for I felt that your wife might could use one too! I hope you enjoy them. It's just a small way for me to say Thank You for your ministry, your studies, and your willingness to always answer questions regarding the Bible. Have a blessed day!